'Coronation Street' tells the story of 40 years of The Street. It details the life, loves and losses of characters who have become national institutions. We follow the fortunes of the most popular characters including Elsie Tanner, Hilda Ogden, Vera Duckworth, Bet Gilroy, Mike Baldwin and the Battersbys. 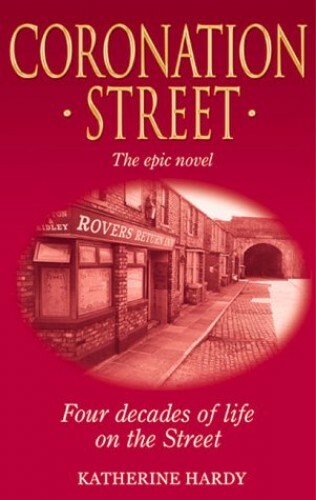 Coronation Street - The Epic Novel tells the story of 40 years of The Street. Nearly 1,000 pages detail the life, loves and losses of characters who have become national institutions. We follow the fortunes of the most popular characters from the longest-runing TV soap in Britain: Elsie Tanner, Ena Sharples, Hilda Ogden, Deirdre Barlow, Vera Duckworth, Audrey Roberts, Bet Gilroy, Gail Platt, Stan Ogden, Ken Barlow, Len Fairclough, Mike Baldwin, Curly Watts, the Battersbys and many others. The fascinating story is told in a compelling manner that will introduce new fans to what is by now ancient history, and provide a trip down memory lane for the older members of the audience.